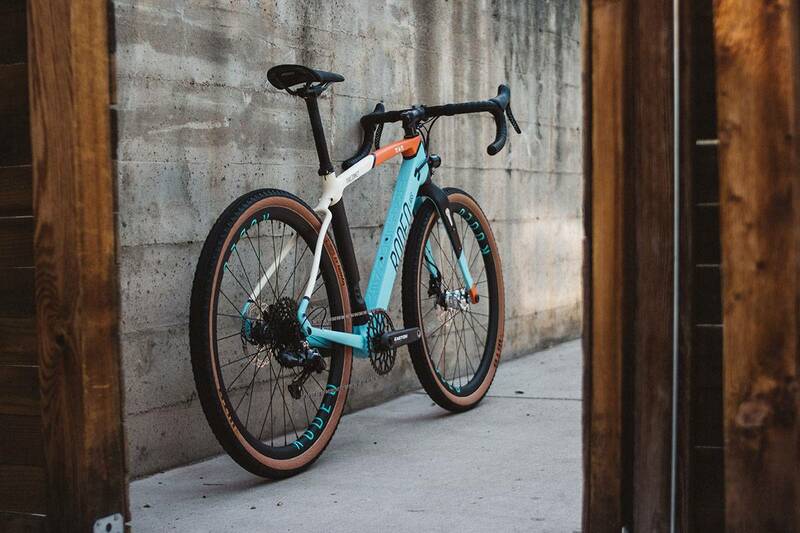 You can buy a bike off the shelf, with a brand-complete gruppo and cockpit. 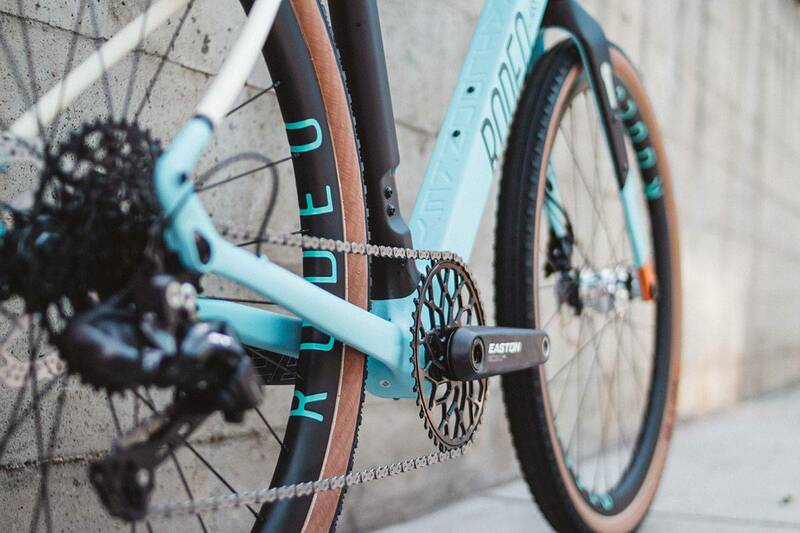 Or you can get the bike you want that does what you want it to. That’s the bike we like building and before we suggest mixing and matching parts you can be sure we’ve tried it on our own bikes and ridden it for thousands of miles. 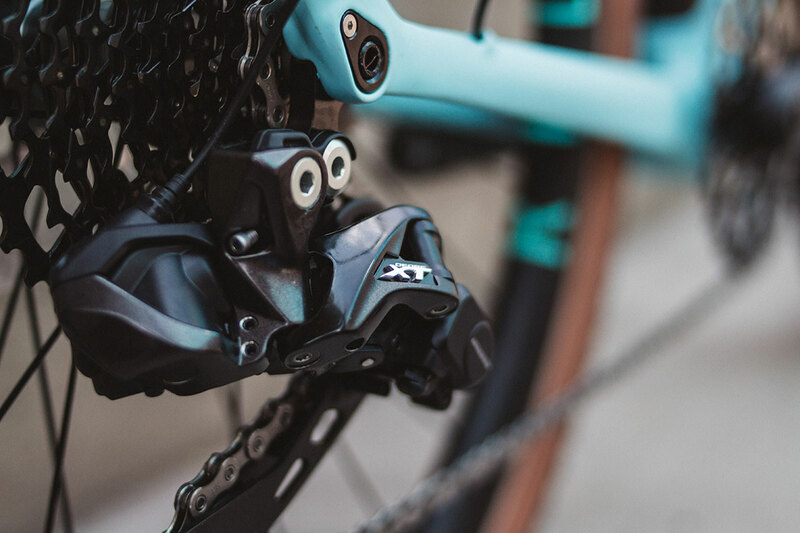 TRP Cycling Hylex RS levers with the Di2 switch mod = the finest brake feel in the industry combined with the most repeatable shifting performance in a 1x. 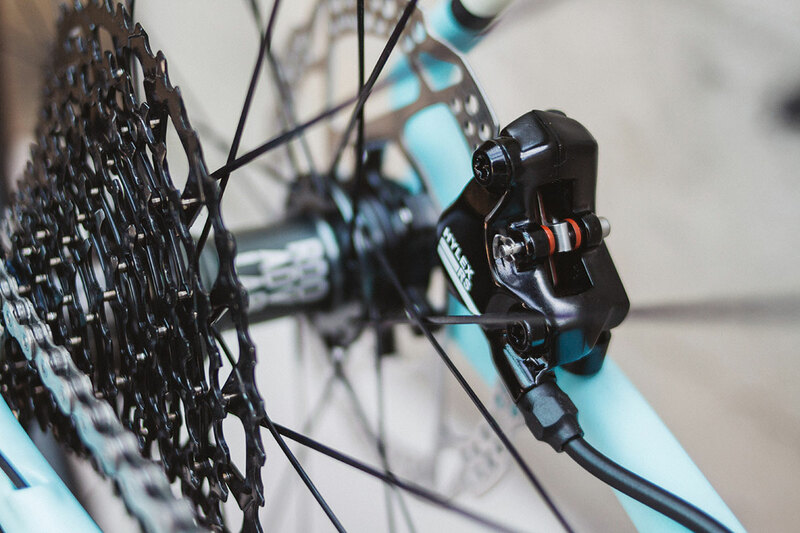 The entire drivetrain is a marriage of rad: XT Di2 rear derailleur. 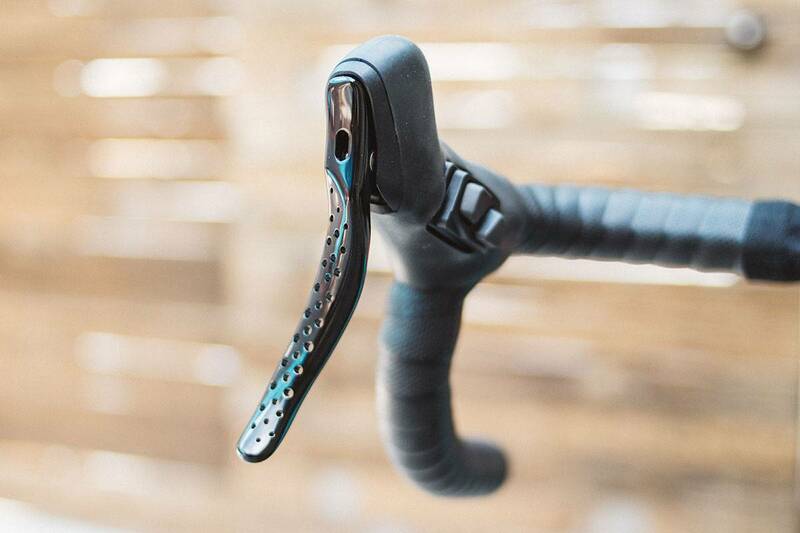 SRAM road10-42 cassette. 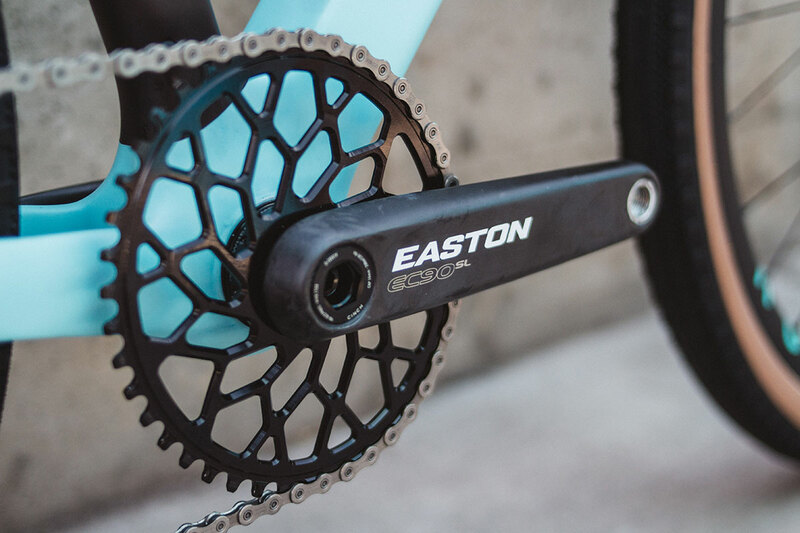 absoluteBLACK direct mount oval ring on an Easton Cycling EC90SL crankset with Chinch power – spinning on a Wheels Manufacturing T47 B.B. 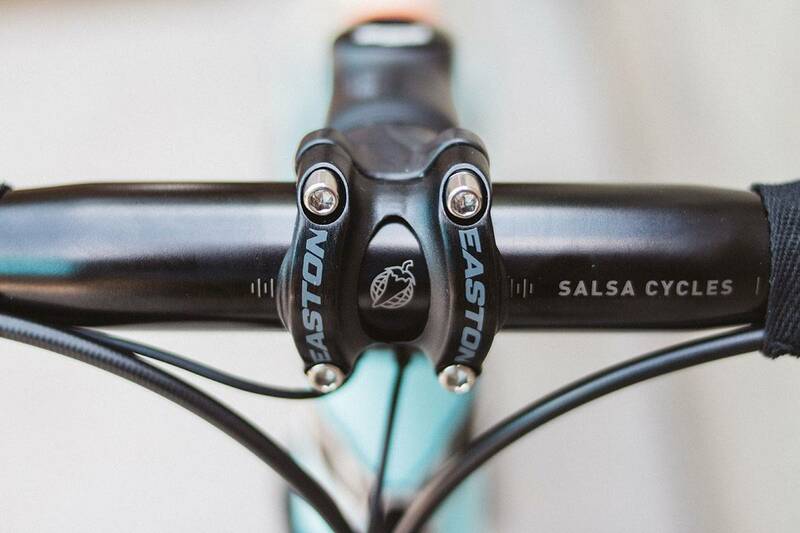 The Easton stem is a favorite, but is that a Salsa Cycles Cowbell Plus bar? Yes it is. 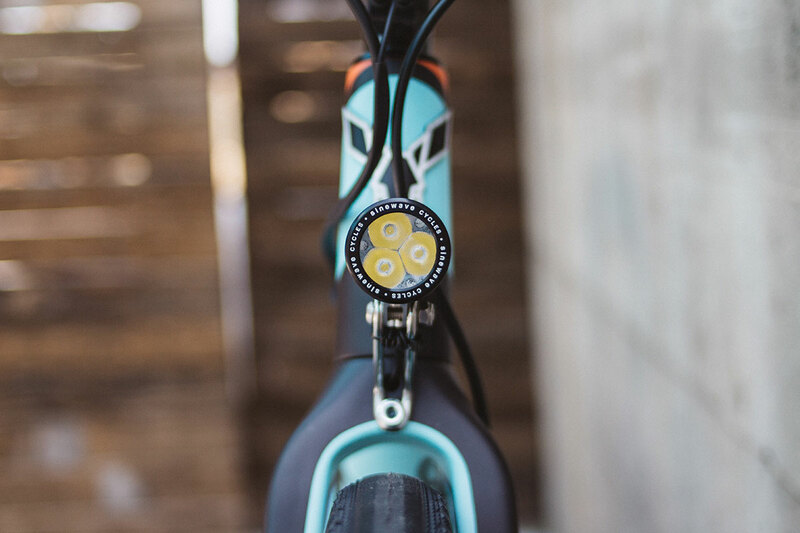 Chris does 200 mile rides a lot, so it’s time for another SP dynamo hub driving a Sinewave Cycles headlight – which has a built in USB port for charging your digital map and looks like 💎. 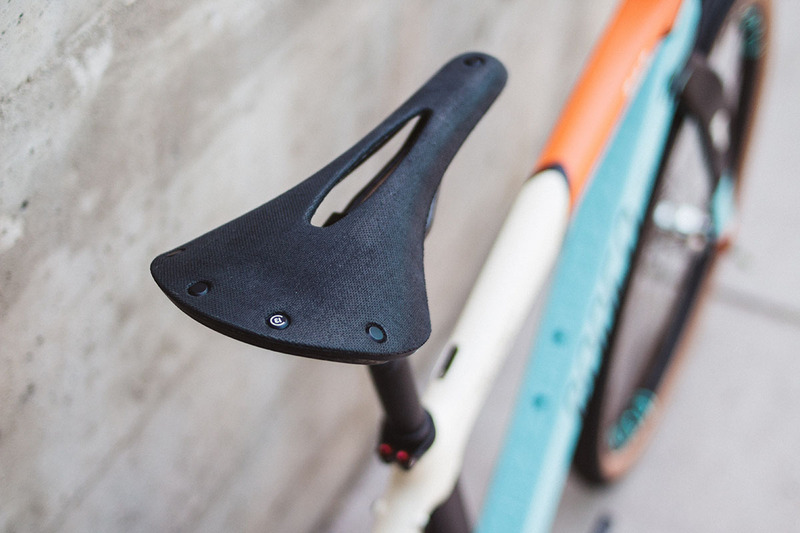 Easton EC70 post is extra compliant combined with a Brooks England saddle. 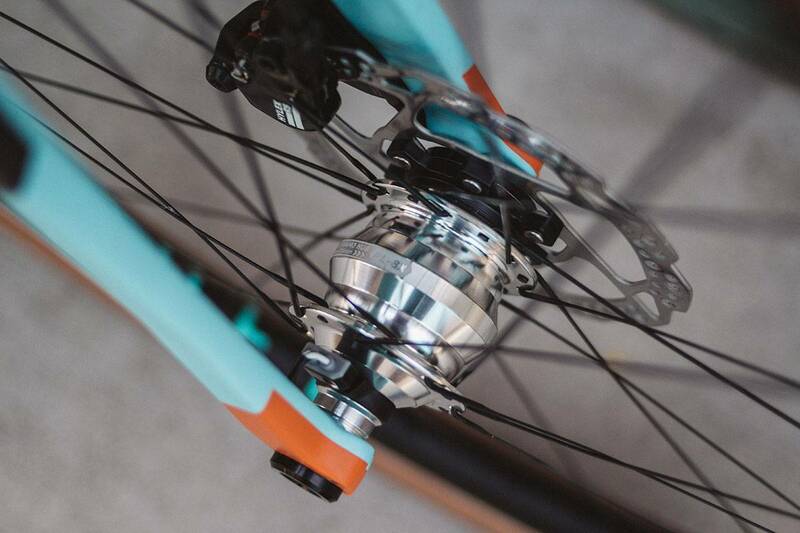 650b 2.0 Rodeo Wheels with WTB Byway tires, CX-Ray spokes, and matching decals are bulletproof, or at least baby head proof. 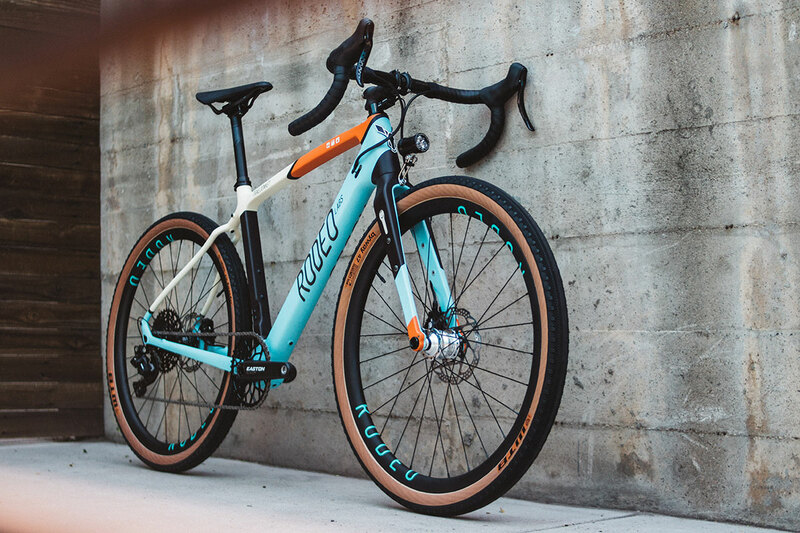 The entire build is a symphony of different component brands and it all combines to create an incredible 2.1 Traildonkey. 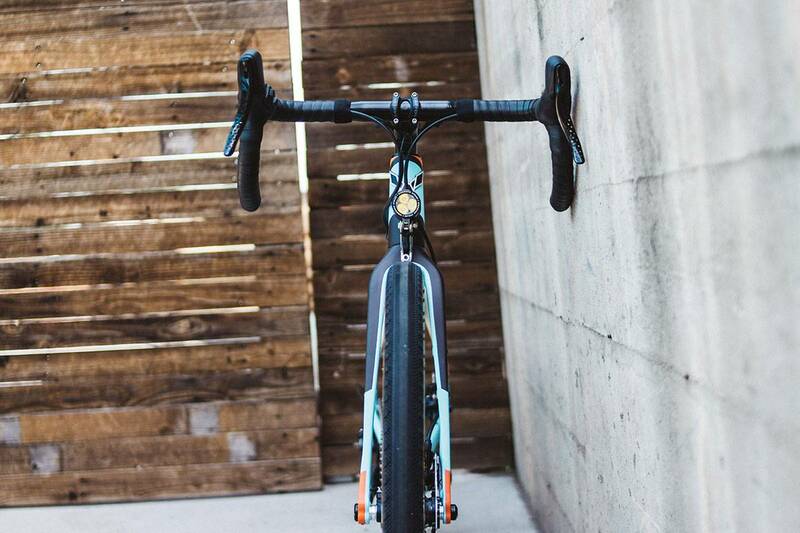 Chris waited a fair bit for this build. It was complicated. 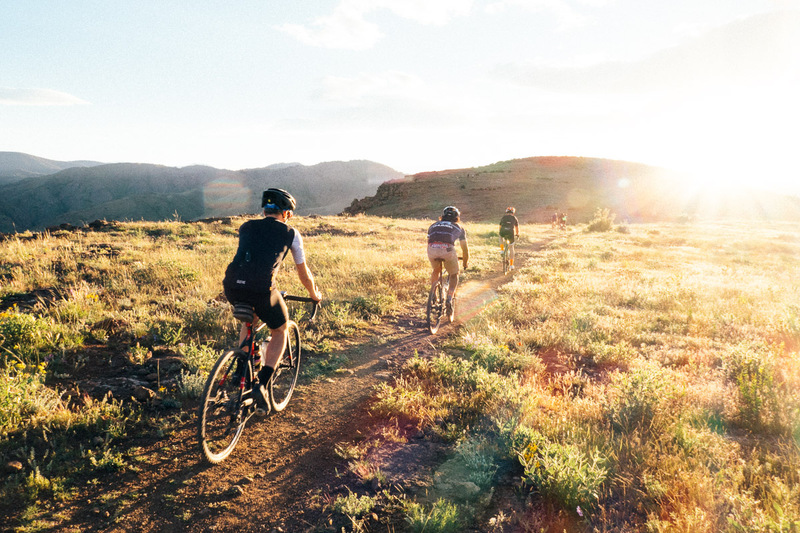 But it’s awesome. Welcome to the pace Chris!